A lot of drivers end up quitting Uber and Lyft but why is it that some can stick around for years on end? Today, RSG contributor Jay Cradeur shares why you need to get into the right mindset in order to outlast others and make money consistently on your schedule. Today I would like to share what I feel is the most important characteristic of a successful veteran driving: your mindset. By mindset, I mean how you think and respond and react to all facets of being a rideshare driver. The great majority of drivers quit after a few months and I feel that this is because of poor mindset. Those of us who have been driving full time for at least a year have learned a thing or two about how to maintain a positive mindset so those challenges don’t derail our income potential on the road. Let’s jump right in to some of the ways veteran drivers must think in order to remain successful and profitable. Why do I say that? First, the aggressive driver is far more likely to get into an accident. This violates the first mindset rule to stay in the game. If you get into an accident, you can’t drive for a while. You will lose all your momentum. And unless you have adequate rideshare insurance, you may lose a good deal of money. Related: What Happens If You Get Into an Accident with Lyft? Second, the aggressive driver puts himself or herself under a great deal of stress. It is hard to drive when you are weaving in and out of traffic, going 20 miles per hour faster than the speed limit, and constantly riding your brakes to avoid an accident. 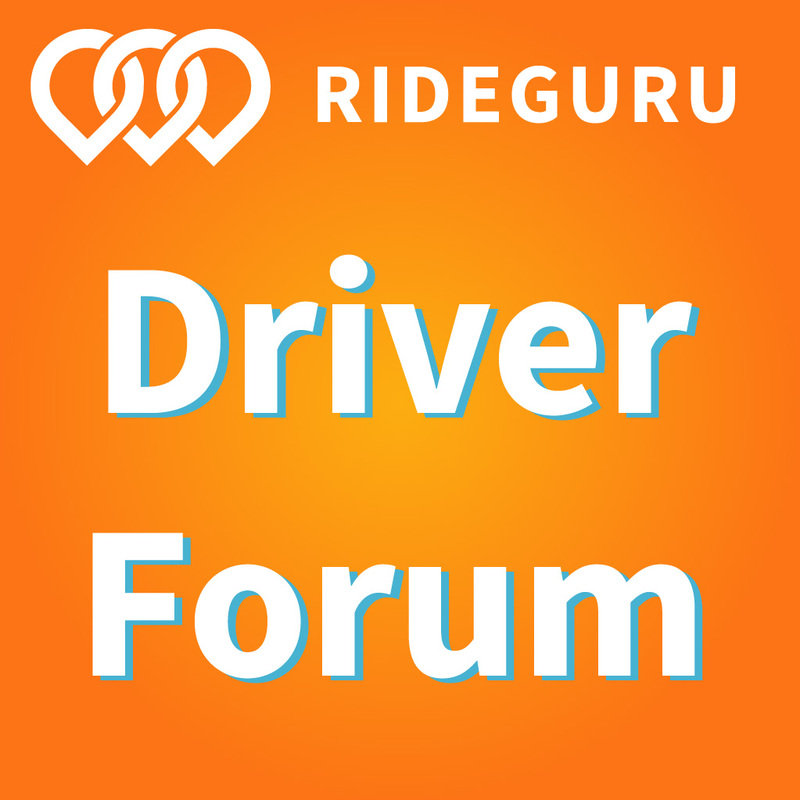 Third, the aggressive driver will see his or her ratings fall and get negative comments, which can lead to deactivation. No passenger wants to be in a swerving car going well above the speed limit. Rather, passengers want a pleasant time in the car, one in which they can relax, look at their phone, perhaps have a chat, but certainly not have a concern for their own well being. Slow down and stay in the game. There comes a point when the body and mind become fatigued, and that is the time to stop driving. Sure, you might be able to drive for 15 hours in a row, but you are lucky if you don’t have an unpleasant incident. I have driven for 15 hours in a row on many occasions. This is how I know it is not a good idea. In almost all cases, I came close to either having an accident, hitting a pedestrian or bicyclist, or getting into an argument with a passenger. When I am tired, I am slower to react to traffic conditions. I still remember nearly hitting a guy crossing the road at night in the rain – I just missed him by just a few feet. One of my passengers wrote a negative comment, but it would have been worse if I had hit him. I learned my lesson on that night. If you are not taking regular breaks during the day, away from the wheel, you are playing with fire. If you drive more than 3 hours in a row without getting out of the car, you are playing with fire. If you are not calling it quits when you are feeling fatigued and short tempered, you are playing with fire. Work in short chunks of time, take breaks and quit early rather than later. Know when to stop before life stops you. Related: What Can Drivers Do While Waiting for a Ride? I have learned to drive with efficiency to save time. In California, we can make a right turn on a red light. We can make a left turn on a red light going into a one-way street. I see so many drivers sitting on the red, unaware of the driving laws, just piddling away valuable time. If I waited on every red light, I estimate I would spend an extra 20 minutes per day waiting. That translates to one ride per day. Even at $4 per ride, that is over $1,000 per year I could lose. Another huge source of inefficiency is 100% reliance on the Waze app. If you follow the app turn by turn, you are losing money. This is especially pertinent during the beginning of the ride. Before I take off for my next destination, I look at the Waze app to see where I am going. At least 25% of the time, I can save valuable minutes by making a U Turn rather than driving 3 city blocks or more to get going in the right direction. In San Francisco, with so many “No Left Turn” and “No Right Turn” signs, the U Turn is a driver’s best friend. Again, think in terms of time and money. 20 minutes saved per day translates to a minimum of $1,000 per year. There are times of the day for short trips, and other times for long trips. We drivers make the most money when we are driving at 70 MPH with a passenger in our car. If you can drive all day at 70 MPH with a passenger in your car, you will be maximizing your revenue. However, this is not possible in most markets. Traffic is the enemy. Sitting in traffic not only stifles your revenue, I find it to be extremely unpleasant. During weekday rush hour, focus on the short trips, taking people to work and then in the evening, taking them home. These short trips add up and if you are in a market with bonus opportunities, you move toward achieving your goals quickly. During the day on weekdays from 10 a.m. to 3 p.m., you want long trips. The freeways have freed up from traffic, and long trips will net you a nice profit. Weekends are my favorite time to drive. No traffic. More people are taking long trips. I can make more money per hour on the weekend than at any other time during the week. The lesson of this mindset rule is to take advantage of the different days of the week and times of the day to maximize your revenue. Finally, at the end of your shift, and especially during the weekend, be sure to use your destination filters. When you get a long ride out of town, set the destination filters to your return point, and get paid driving back. The destination filters did not exist when I started. They are hugely efficient and should be used abundantly to maximize your revenue. 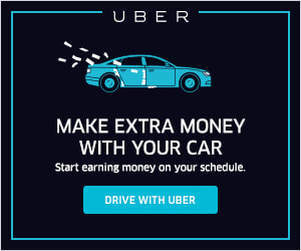 If you drive for both Uber and Lyft, you have even more per day to work with. When I first started driving, I just drove anywhere. I did not think about driving in the location that would give me the best chance of getting a ride. For example, when working the morning rush hour, I don’t want to be driving downtown. This is the destination. Not many people are already at work and are looking for a ride. Rather, I need to be where these people live. I need to go to the most densely populated residential areas that are full of homes and apartments. These are the folks who need rides to work. Conversely, during afternoon rush hour, I need to get to downtown where everyone is getting off work and then going home. In San Francisco, I regularly get 8 to 10 rides in 2 hours with Lyft Line and UberPOOL during rush hour, all of which gets me closer to my bonus goals. Related: Encourage your passengers to tip by offering them snacks – and get paid for it with Cargo! Just before I began rideshare driving, I almost died over in Thailand from a sudden medical condition. I had to come back to the United States to have surgery. After surgery, I was in absolutely in no condition to continue my current line of work, which was sales. I needed something that would be easy, lucrative, and devoid of stress. I had heard about Uber and thought I would give it a try, and it turns out I enjoyed it. 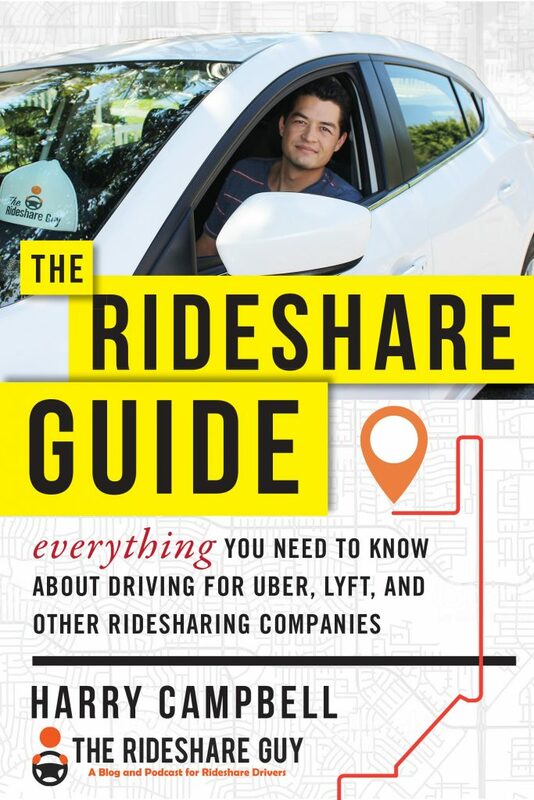 Rideshare driving was lucrative enough, and it was certainly devoid of stress. Then I started to look at YouTube videos. A great many of them were very negative. 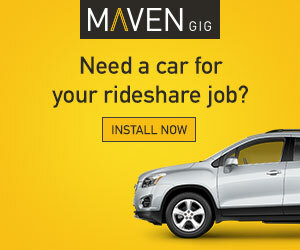 Some videos emphasized how rideshare driving was good a few years ago, but now it sucked. Other pointed out how after expenses, I would be better off at a minimum wage job. So I did my due diligence and after working out the numbers, I thought I could give it a go and make good money even after expenses. Last year, Uber and Lyft paid me over $90,000 after taking their cut. Even after subtracting the extra money I paid for a car ($300 per month), gas ($400 per month), insurance ($200 per month), and incidentals like car washes, water and gum ($100 per month), I was still above $80,000. And since rideshare drivers are independent contractors with a generous mileage deduction, our tax burden is significantly reduced. Had I listened to all the naysayers, I would not have pursued rideshare driving. I would have found something else to do, which would not have been as lucrative or rewarding for me at that delicate time of my life. Negativity can really mess with your head – surround yourself with positive people. Or the passenger breaks out a back of potato chips and starts munching away, making the car smell like a factory. Or the passenger wants you to make a stop on the way so he or she can pop into a convenience store to pick up a coke – “Hey, can you just pull over here so I can run in real quick.” And then the passenger takes 10 minutes of your valuable time while you sit in your car stewing. Related: What Do You Do if a Passenger Wants to Stop at the Liquor Store? I have gotten nasty with a few passengers. I have tried to make it clear that I am not happy with a given situation. The only thing that comes out of it is a bad rating. There really is no way to win with lousy, thoughtless, inconsiderate and self absorbed passengers other than to smile, tolerate them, drop them off and wish them a wonderful day. Then I give them a 1 rating which they so rightly deserve. Fortunately, there are not too many of them out there. When I started, I was pretty uptight. I had so much to learn. I didn’t know the city of San Francisco, so I was quite focused on my Waze app. I had goals to reach and I was focused. Over time, I have relaxed. Over time, I realize I will have some glorious days on the rode, and other days that are challenging and I can’t wait until they are over. Relax. This mindset rule reminds me to take a few deep breaths, open the window and feel the cool air on my face and be grateful I have an opportunity to make money driving people around town. This blog provides some food for thought. Are you pushing your limits to make money in the short term while jeopardizing your long term? Are you approaching your trade with the efficiency of a surgeon? Are you saving those valuable minutes? Are you driving in the best spots, at the best times, and optimizing your trips? Are you letting the haters hate on you and get you down? Are you dealing with all your passengers in a way that will keep your ratings high? These are powerful questions I ask myself. I know I can always improve and attempt to get better each day. I will get back behind the wheel tomorrow and work to do so. Did I forget anything? I would love to hear any additional thoughts or practices you use out there on the road. We are all in this together, and I appreciate the opportunity to learn.